1) Have you sold properties similar to mine? The Williams answer: With over 20 years of experience in the industry, we are skilled at selling different property types – from starter homes to farmhouses, family properties and mansions. Whether you are looking to sell a small apartment or a luxury seven bedroomed-house – we pride ourselves on selling properties quickly and at the right price. 2) Why should I choose your estate agency to sell my home? The Williams answer: From the moment you instruct us to sell your house, we will uniquely market your property to thousands of buyers. We have prominent window displays and a state-of-the-art TV screen to catch the eye of potential purchasers. People can even take a 360° Virtual Tour of homes for sale – browsing from kitchen to bedrooms. 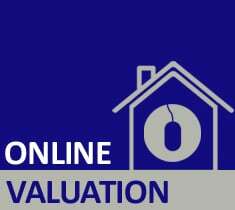 What’s more if you choose to sell through Williams Estates, you can access your personal file online to keep track of your viewings, read feedback and check the number of adverts placed or mailings distributed for your property. 3) What differentiates you from other estate agents on the High Street? Market know-how matters, and we have previous expertise in selling during slow and falling markets – not just during buoyancy. We are an award-winning estate agency, recognised for our negotiation skills and professionalism. With us, you’re not just a number – we work extra hard to promote your property – from colour newspaper advertising to text messaging buyers.